Traveljunkieindonesia.com – I like to do something a little different for my life. A morning, we went to do the 55 minutes Broadwater Adventure Jetboat Ride – with 3 friends who were equally sporting and adventurous. 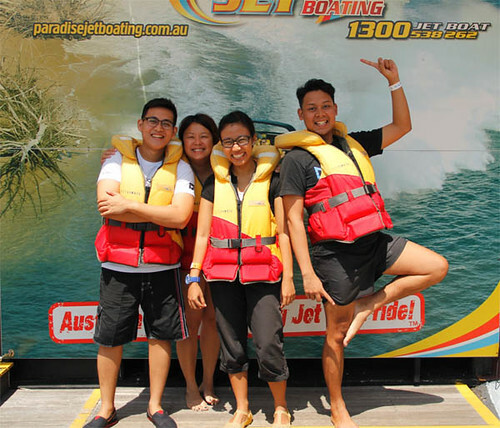 Paradise Jet Boating is Australia’s most exciting Jet Boat ride. 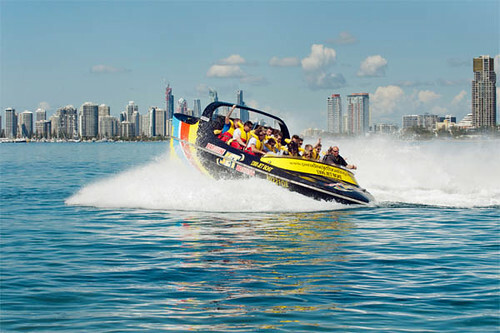 The Gold Coast is the adventure capital of Australia and Jet Boating is the must do activity for the world family. I am a bit, tiny bit of a travel junkie and this was the perfect choice from my iventure choices of things to do on the gold coast. sweet memories on the jetboat. Touring through the beautiful Broadwater and Marine Park, famous for their blend of thrills and adventure mixed with stunning scenery and sightseeing. 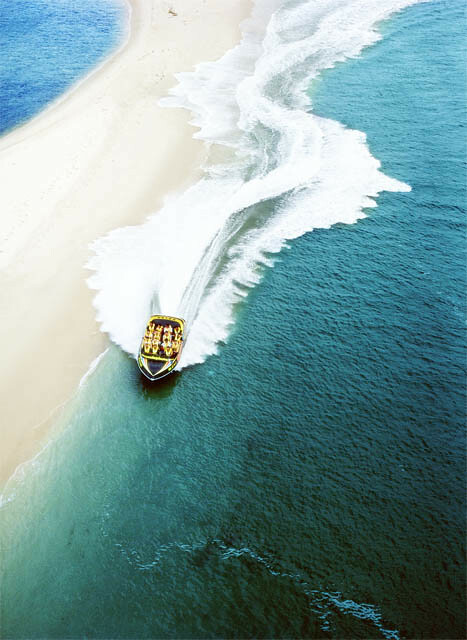 Experience spins, high speed drifting, incredible beach buzzing and other exciting manoeuvres in as little as 10 centimetres of water – while they explore these unique waterways. Ooh.. they are the only jet boat operator with approval to access the secluded Moreton Bay Marine Park where passengers often see dolphins and wallabies. A cruise past Sovereign Island and amazing multi-million dollar mansions is also exclusive to this ride. 01. 55 minutes of authentic jet boating action over 35km of beautiful waterways. 02. Approved access to exclusive National Marine Park allowing the opportunity to spot Dolphins, Wallabies and other wildlife in their natural habitat. 03. Amazing sightseeing past Sovereign Island’s spectacular multi-million dollar mansions. 04. 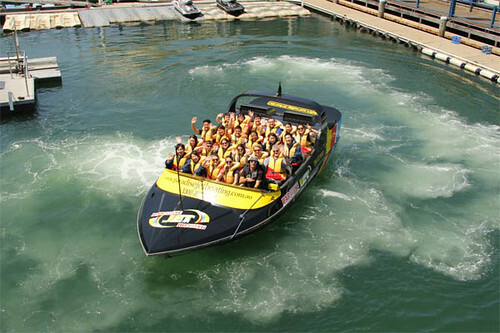 The most advanced jet boats in Australia. Enjoy the highest level in safety, performance and passenger comfort aboard our first class, purpose-built boats. 05. Safety First. Our highly trained, professional skippers have your safety as their priority. All passengers wear lifejackets on our tours. 06. Operating from our marina Adventure Terminal, we provide secure storage, undercover/comfortable waiting areas, full-length rainwear, in-house photography and free parking. 07. Free return transfer service available from Surfers Paradise hotels. 360 degree spin for everyone. 08. 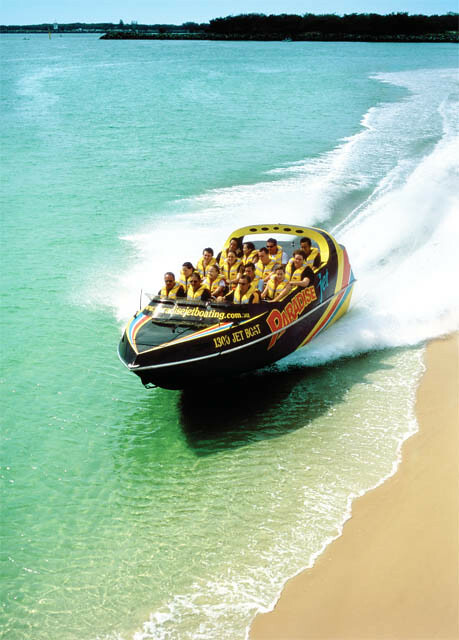 Paradise Jet Boating are the original and biggest jetboat company on the Gold Coast. 09. Dual category finalist in the prestigious Queensland Tourism Awards 2012 and 2011. 10. ECO Tourism Australia certified – Australia’s only ECO approved jetboat ride. 11. T-QUAL Tick endorsed – recognising the high quality of experience and level of customer service. Phew. Paradise Jetboating was such a unforgettable experience. We got completely wet and didn’t expect the experience we had. I absolutely LOVED it. It was FANTASTIC! Gold Coast, you stole my heart! For more information, visit paradisejetboating.com.au. 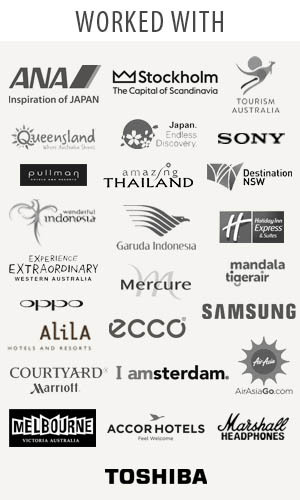 A big thank you to Garuda Indonesia, Queensland Government, Visit Gold Coast, Lady Elliot Island, Tourism and Events Queensland, and Tourism Australia. Dreamworld Queensland – Best. Day. Ever.